Take three entrepreneurs, student artwork and a couple of economist jokes, and what do you get? The Excellence in Free Enterprise Awards Luncheon! 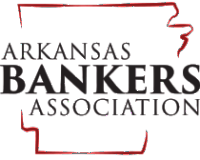 As part of our 50th Anniversary festivities, Economics Arkansas honored the legacies of J.B. and Johnelle Hunt, Don Tyson and Sam Walton during a gala luncheon at the J. Q. Hammons Center in Rogers on Nov. 2, 2012. These entrepreneurial pioneers built worldwide firms that represent the pinnacle of success in free enterprise and inspire the entrepreneurs of tomorrow. It was a privilege for our organization to salute them and their accomplishments. Videos highlighting the business acumen and entrepreneurial successes of all three honorees were shown during the luncheon. We invite you to scroll down and click on the links below to view them. We are grateful to the many volunteers and supporters that helped make this such a memorable event: Bob Boehmler, executive vice president and loan manager at ARVEST Bank Benton County, welcomed the almost 700 guests. Don Soderquist, the founding executive of the Soderquist Center and retired COO and senior vice president of Walmart Stores, served as emcee. He presented the awards and paid moving tributes to J.B. and Johnelle Hunt, Don Tyson and his long-time friend Sam Walton. Pamela Conner, 5th grade teacher at Elmdale Elementary of the Springdale School District, described how she and her students have benefitted from the training and resources provided by Economics Arkansas. And keynote speaker Arthur Brooks, president of the American Enterprise Institute, book author and editorial writer, illustrated the moral value of free enterprise. He explained that free enterprise has lifted more individuals and nations out of poverty than any government-sponsored social program. The Excellence in Free Enterprise Awards were created by students from Northwest Arkansas middle schools. Emma Wisdom (Rogers School District) presented her “Capital Resource” to Johnelle Hunt, who accepted the award on her and her late husband’s behalf. Megan Boyce (Springdale School District) presented “Have you had your chicken today?” to John Tyson, the son of the late Don Tyson. 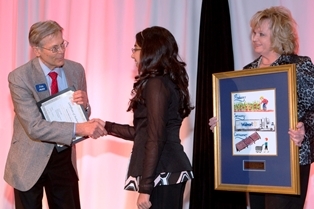 Netra Pradhan (Bentonville School District) presented “Producer, Services, Consumer” to Jim Walton, who accepted on behalf of his late father, Sam. The awards luncheon was made possible, in part, by the generous support of these major sponsors. Thank you.